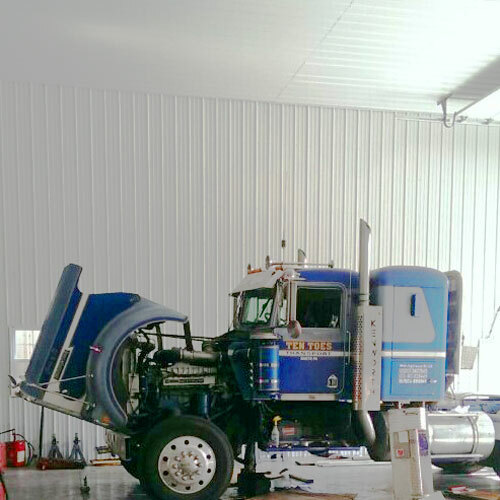 Fisher Enterprises, of Quakertown is the number one diesel truck mobile repair service in Pennsylvania and the surrounding Philadelphia area. 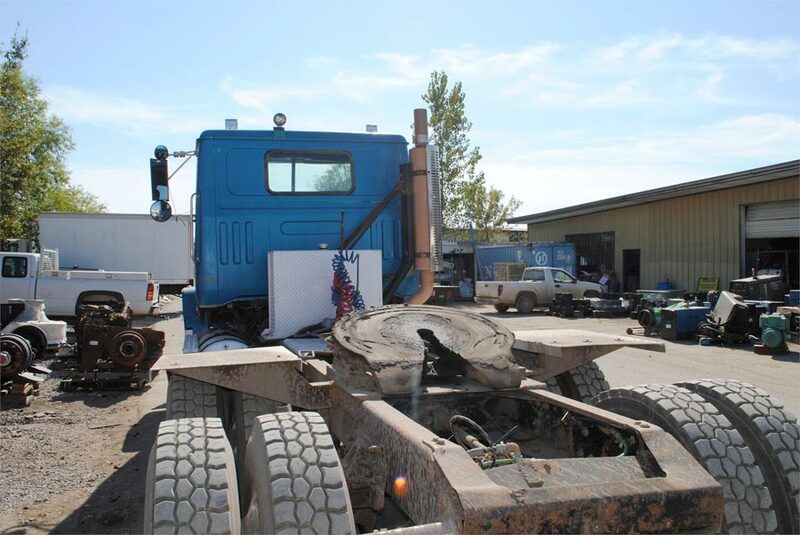 We bring the maintenance repair to YOU by performing on-site, mobile truck repairs including starters, batteries, electrical systems, charging systems, water pumps, air and hydraulic brakes, for all types of trucks and commercial vehicles. We even do tune-ups as part of our maintenance service. Our trained staff are on call, and equipped to handle even the most dreaded road emergencies. Flat tire? Broken headlight? Battery failure? Fluid leak? We get you back on the road, and fast. Our 24/7 emergency road service can offer peace of mind and help make your roadside experience a little more manageable. Are your brakes locked up? Have you experienced brake line (or air line) failure? 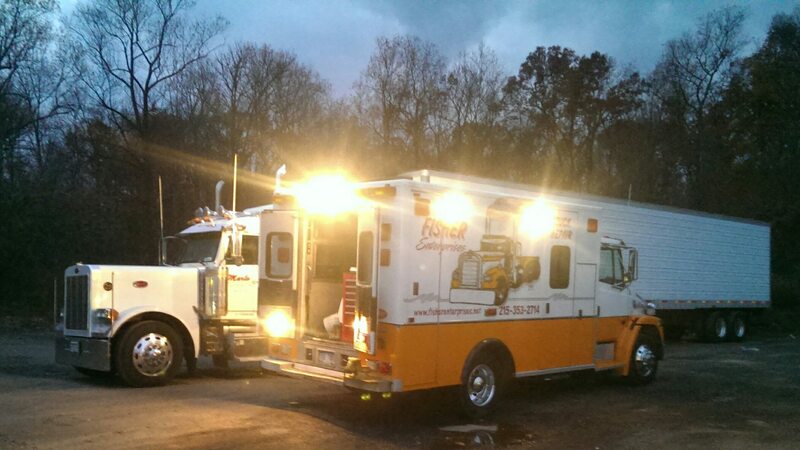 Our on-call technicians are equipped to handle all levels of mobile repair and truck breakdown emergencies. Typical service situations include: diesel engine repairs & replacements, alternator repair, belt replacement, radiator damage, wheel alignment, U-joint work, hose punctures/leaks, axle load damage, wheel seal leaks, clutch and transmission slippage and loose linkage. We handle many other issues as well. 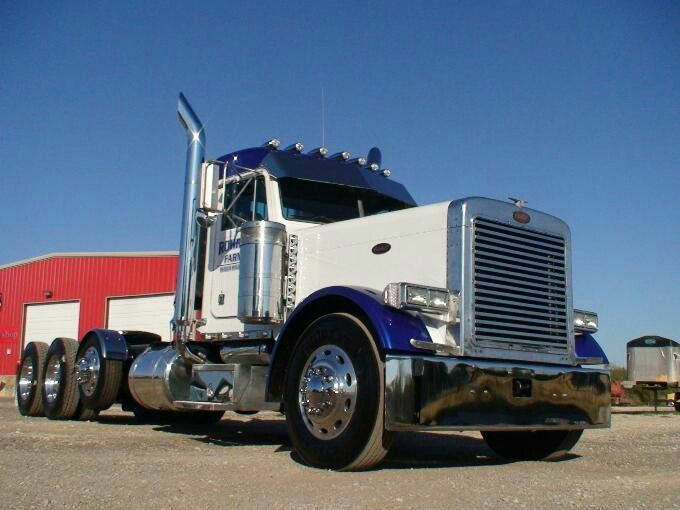 While your truck is being serviced, ask about our on-site hydraulic hoses! The range we cover is roughly 50 miles from Quakertown, PA – North of Philadelphia, south of Allentown. 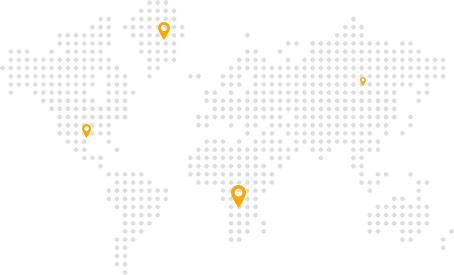 If you are within this range (SEE MAP) or even near the edge of our range, CALL US today. We cover all the advanced repairs as well as the basics of flat tire repair or replacement. 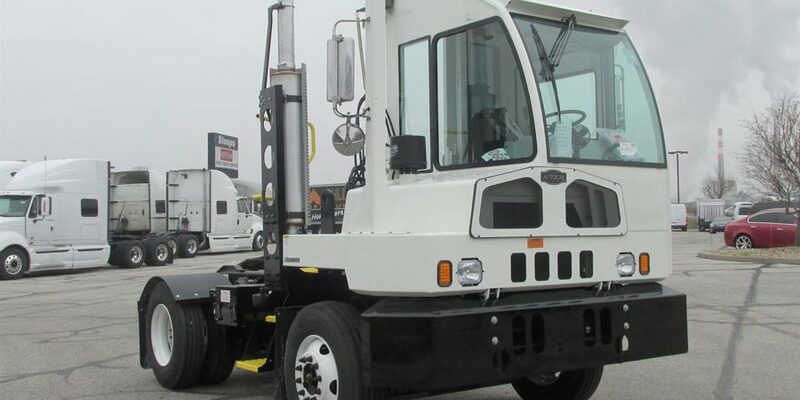 If your diesel truck or heavy service vehicle needs to be on the road and working, and cannot afford even one day of down-time, then you need the heavy vehicle and mobile equipment service technicians at Fisher Enterprises. Call us today at 215-353-2714. 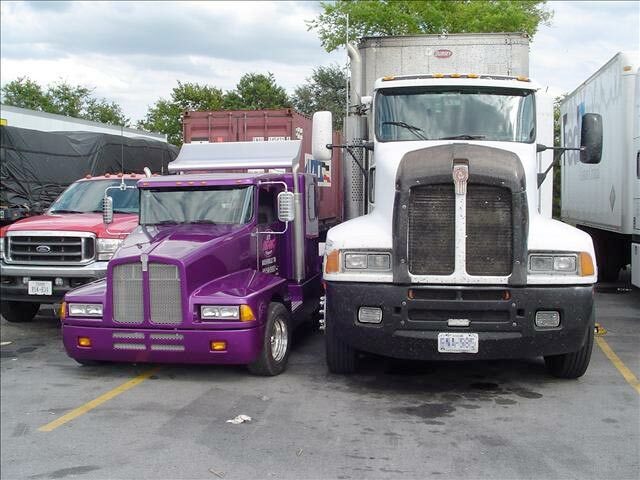 Our certified technicians are equipped to handle all levels of mobile repair and truck breakdown emergencies. Typical service situations include: diesel engine repairs & replacements, alternator repair, timing belt replacement, radiator damage, wheel alignment, CV joint punctures/leaks, steering column joint binding, shocks & struts wear, axle load damage, clutch and transmission slippage and loose linkage. We cover all the advanced repairs as well as the basics of flat tire repair or replacement. 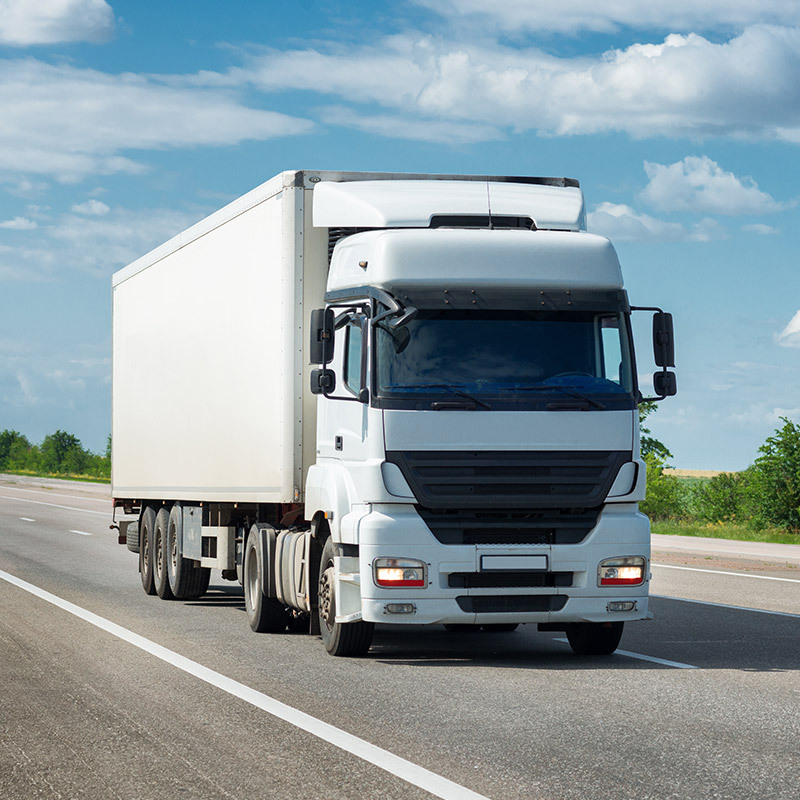 We perform on-site, mobile truck repairs including starters, batteries, electrical systems, charging systems, water pumps, air and hydraulic brakes, for all types of trucks and commercial vehicles. We even do tune-ups as part of our maintenance service. With a name and reputation you can trust, Fisher Enterprises beats the competition with both convenient and fast service. Whether your commercial vehicle needs towing, a jumpstart, tire change or other roadside assistance, give us a call and we will be on our way, prepared to handle any situation. Pennsylvania’s newest AutoCar dealer serving Eastern PA! 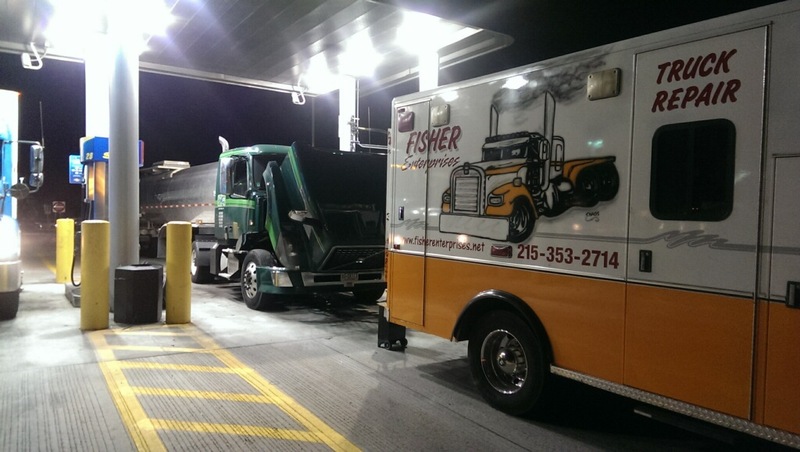 Fisher Enterprises, of Quakertown, PA is the number one diesel truck mobile repair service in Pennsylvania and the surrounding Philadelphia area. 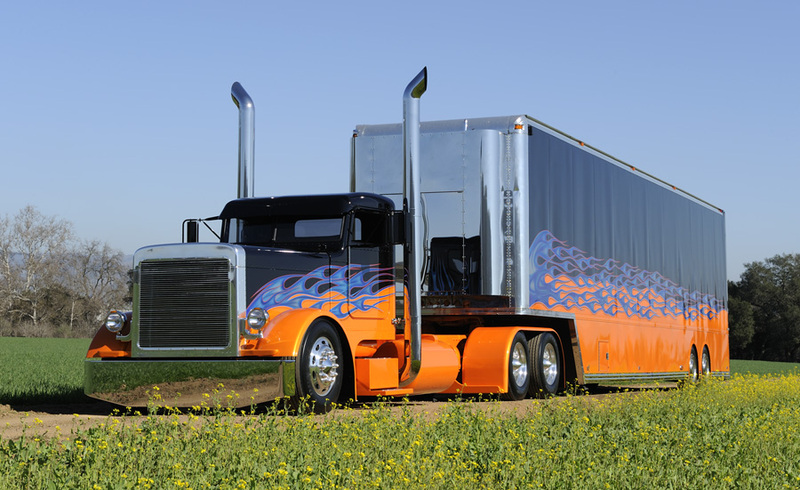 We bring the maintenance repair to YOU by performing on-site, mobile truck repairs for all types of trucks and commercial vehicles.